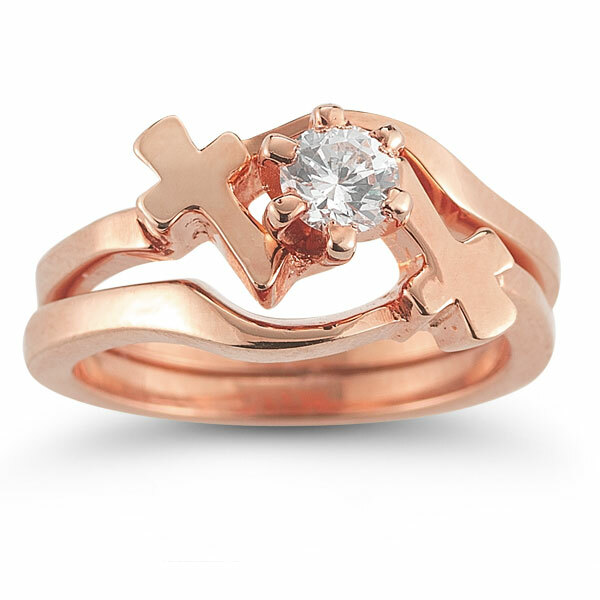 Rose gold reveals a glorious bridal ring set from online jewelry retailer Apples of Gold. 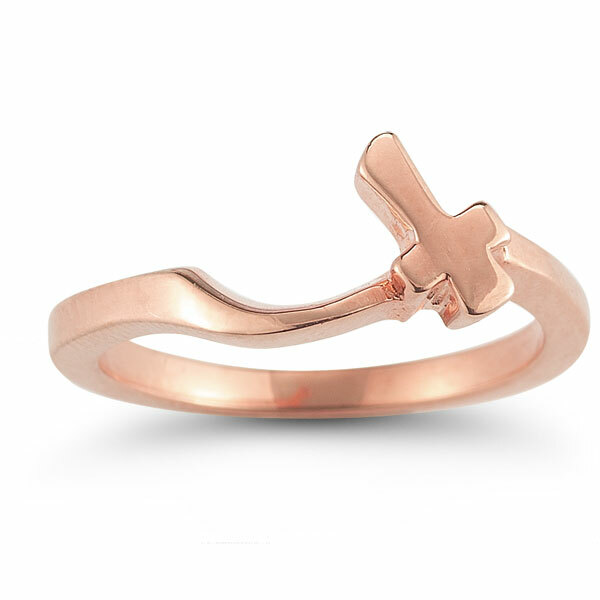 These dual bands are crafted of premium quality 14K rose gold for an inspiring color. 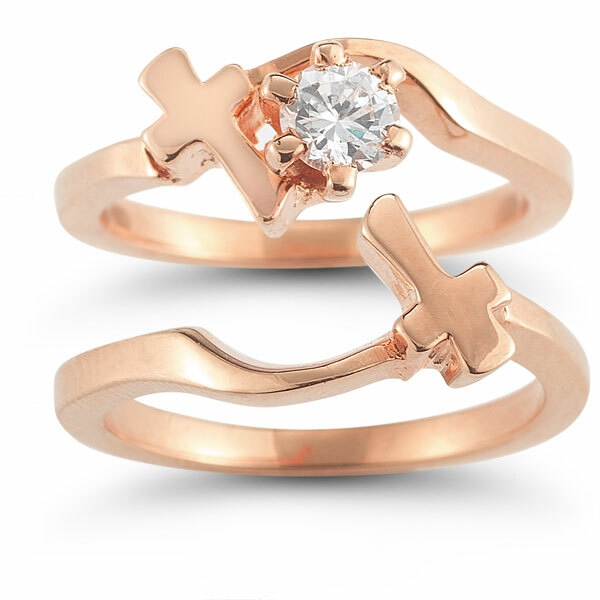 The rings feature two Christian crosses to add a faith element to the set, and the crosses rest opposite each other. Set in the center is a gorgeous half-carat diamond. The bright white diamond is round cut for excellent brilliance and provides a stunning centerpiece for this bridal set. 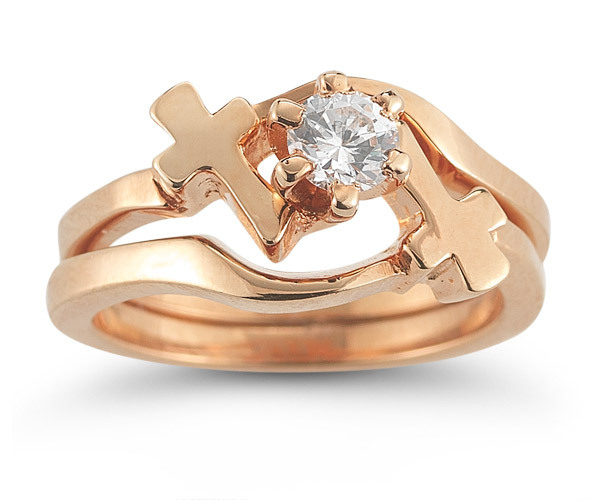 Apples of Gold Jewelry guarantees the Diamond Cross Wedding Ring Bridal Set in 14K Rose Gold to be of high quality and an authentic engagement ring with real diamonds, as described above.